Hari Raya or Eid-al-Fitr is a Muslim holiday that marks the end of Ramadan, the month of fasting. In Indonesia, Eid is commonly known as Hari Raya Idul Fitri. Muslims in Indonesia celebrate Eid like other Muslims throughout the world. 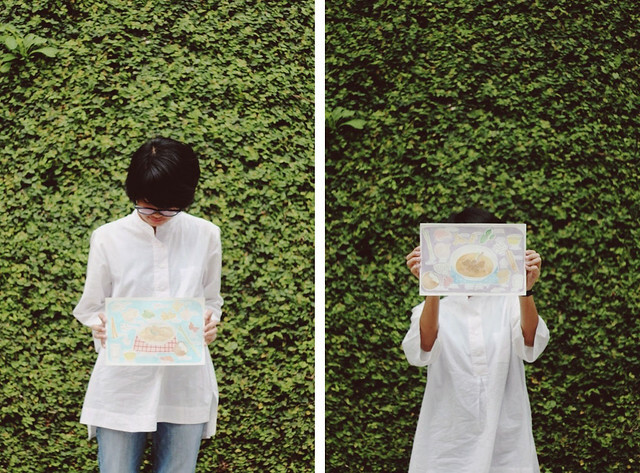 The spirit of gathering in every Hari Raya is our favorite time of the year. When distant family gathers in one table, catching up, share some happiness whilst having a same meal under one roof. That is our inspirations for the illustrations. 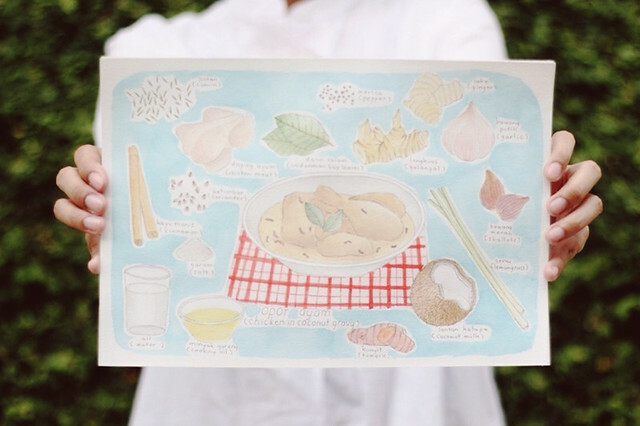 These are our take on two of Indonesian household favorite menus to make in every Hari Raya. The first one is Opor Ayam (Chicken in Coconut Gravy) and the other is Gulai Kambing (Lamb Gulai). 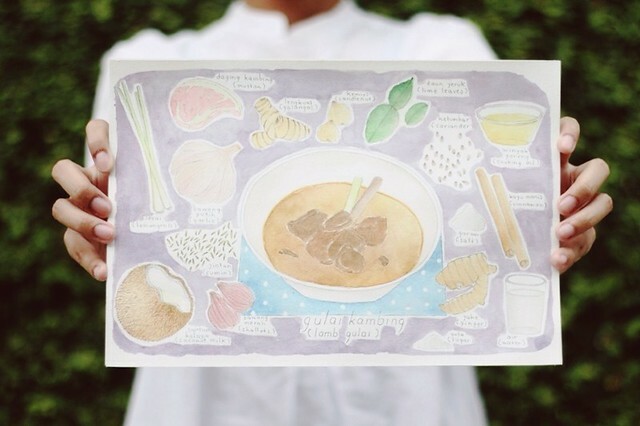 Morrie made these illustrations in watercolor. We’re thinking of making postcards or greeting cards with these illustrations. Mail us here for the details and pricing if you’re interested of having these in prints or anything.